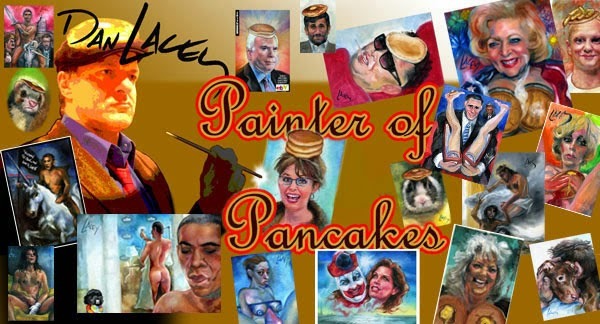 Dan Lacey, The Painter Of Pancakes: A portrait of Julian Assange with leaky condoms for hair, 2. In progress. A portrait of Julian Assange with leaky condoms for hair, 2. In progress. A portrait of Julian Assange with leaky condoms for hair, 2. In progress. By commission.